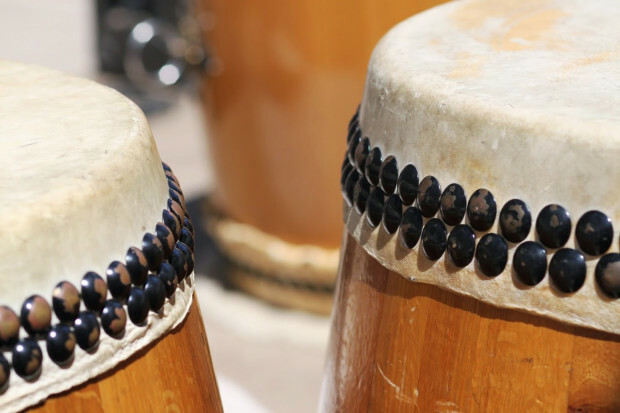 In light of our upcoming California WorldFest debut, we are raising funds to replace the heads on several of our drums. We want to leave our impression at the WorldFest stage with the deepest thundering sound possible and that’s where we need your help. OUR DRUMS NEED SOME LOVE! We build all of our large performing drums out of recycled wine barrels. The process in making a Taiko drum takes several months and involves many hands. It’s a process of labor and love that we feel embodies the spirit of those who help contribute to the making of the drum. Unfortunately many of our drumheads are beginning to show the wear and tear of having been played over the last 16 years. 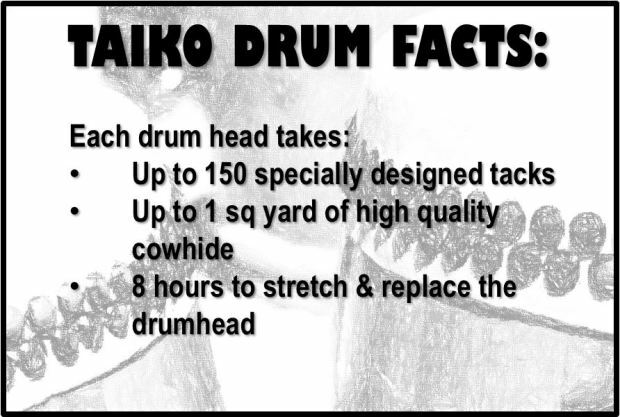 It costs about $250 to replace a Taiko drumhead, and we need to replace 14 drumheads in our inventory of performing drums. We would love to have you in the audience at the California Worldfest, supporting us and knowing that you have helped make this performance the best that we can offer. Therefore we are offering you the opportunity to join us by contributing to this crowdfunding campaign. If you enjoy our music and the Taiko artform, why not contribute $250 to help us replace a drumhead? 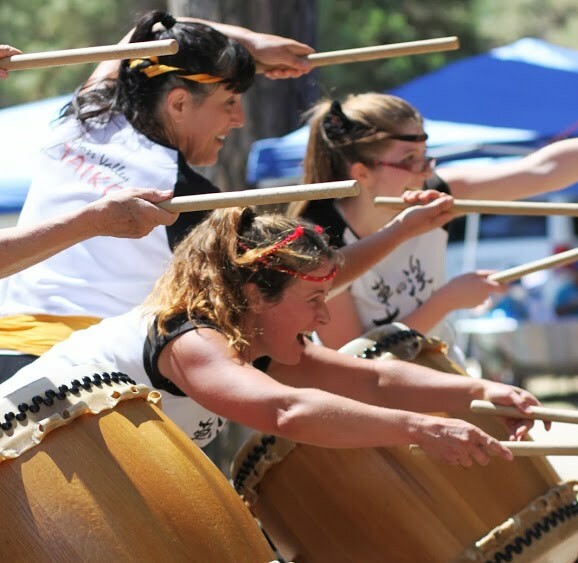 In exchange, we’ll give you a 4-day adult pass to the event (value: $190), along with a Grass Valley Taiko t-shirt to wear at the event, this year’s tenugui** and we’ll engrave your name* on the drumskin so that you can be with us in spirit on stage. The California Worldfest event is only 3 months away. Rehearsals have started already and we need to work the reskinning project into our busy schedules. We are going to have some busy weekends ahead in order to get the drums in shape for the event. If you are going to contribute, please do it early, so that we can get started on the reskinning project.